For some Kaikōura residents, the 7.8 magnitude earthquake of November 2016 might as well as happened yesterday. That is certainly the case for Sam and Emiko Leary, the owners of Oceanview motel. It sits right on the coast line, about half an hour south of the township. "It was a very special place, and great place to go fishing," said Sam. "During the summertime... we could see the dolphins, hundreds of dolphins," said Emiko. But no-one has booked into the four-bedroom motel since the quake. During the quake boulders - some the size of cars - rained down on their back garden. Their lives and their buildings were mercifully spared. "I'd just gone to bed, Emiko was still watching TV and the earthquake hit," said Sam. "We managed to get out of the motel and up onto the railway line at the back of our place." But the property has not been touched since the earthquake. It is one of 15 properties in the district affected by land hazards. In this case, a giant cliff which is cracked at the top. The building was red-stickered straight after the earthquake. But that red sticker - now a section 124 notice - has not gone away. It means they are not allowed to enter the property. Sam and Emiko's neighbour, Kevin McQuillan, is in the same boat - he owns a formerly popular seaside cafe and bar called the Paua Rocks. It is also locked up. "They tell us 'you'll get a decision in May' and then May comes... 'oh you'll get a decision in June'... it just goes on and on and on," said Kevin. 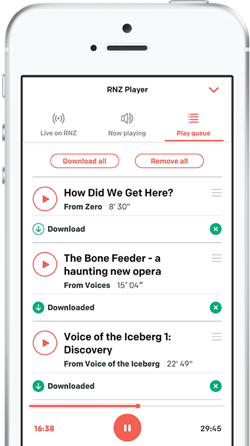 The "they" Kevin spoke of is the Kaikōura District Council. The council had received $1.5 million from the government to address the land hazard issue and find a way forward. The problem is that every property owner in this position Checkpoint has spoken to wants to be paid out by the council or the government in full. They say that was the norm after the Christchurch earthquakes. Other residents affected by section 124 notices have called the government's refusal to stump up more cash "discriminatory". But even though house prices in Kaikōura are substantially cheaper than other parts of the country, $1.5m is clearly not enough to pay everyone out. Council chief executive Angela Oosthuizen previously told Checkpoint she had hoped a resolution would have been found by now. But today, she said it had been delayed further. "We were anticipating that we would table a report, but unfortunately that report has been delayed," she said. That report looks at the land hazard issues at all 15 properties and what possible options could be for their owners. "We now anticipate that the report will be bought to the council in December at some point." No one disputes the fact that this council has an impossible job. It has very little spare money (they could not find the funding for a new public toilet in the three year plan deliberations earlier this year) and a very small ratepayer base of about 2000 people. But Angela said the council had still made some significant achievements during the earthquake recovery. I think it has been a pretty hectic pace and unrelentless over the past two years but looking back on what we've achieved together with our partners, remediating the harbour...getting the road open... we finalised all of our insurance proceeds, and we are continuing to fundraise for various community facilities," she said. "All and all when you look back, it's been a pretty busy year and a significant achievement by our staff at a small, wee council." 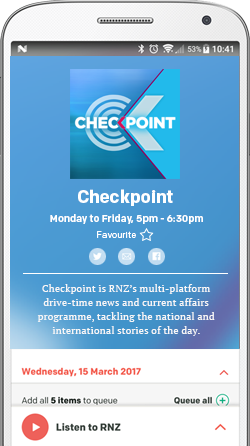 Checkpoint has made repeated requests to the ministers that have seemed to have taken responsibility for land hazard issues - Megan Woods, Nania Mahuta and Kris Faafoi - for an interview. Checkpoint approached them about this story. That was, again, declined or ignored with the exception of a brief statement from Ms Mahuta's office which did not add anything new and did not answer any allegations Checkpoint put to them. They said they were waiting for the council to decide what it was going to do. In the meantime these properties on the coastline will continue to deteriorate. "I don't want to come back to this property again," said Sam.